Pastor Saeed Abidini Asks For Immediate Prayer For A Member Of His Ministry Still In Prison In Iran – I Am Not Ashamed Of The Gospel Of Christ! *** *** I Am ADVOCATING *** *** Help me pl. I thank my God, making mention of you always in my prayers, hearing of your love and faith which you have toward the Lord Jesus and toward all the saints, that the sharing of your faith may become effective by the acknowledgment of every good thing which is in you in Christ Jesus. No one is paying attention to those left behind in prison for almost 3 years now, even though they were part of Saeed Ministries. This article is to bring attention to a fellow Christian named Nasim. Nasim was the first girl to became a Christian after my sisters Zizi and Elnaz. She was the first underground female leader and one of five leaders that helped us start churches before I became a pastor. Every time I got arrested, some leaders became afraid to work close to me and some left. But Nasim was the only one who stayed beside us until the end when I was put in Evin prison. This woman never gave up or chose fear and doubt. She always stayed beside us in Saeed Ministries until prison broke apart our ministry. The Intelligence police of Iran arrested her and sentenced her to four years of prison for assisting me. Then she escaped Iran and and went to Turkey. But eventually she left to Turkey by her own choice and decided to come back to Iran and finish her prison sentence . And now I am FREE and this Christian sister is still in chains so this makes my Freedom hard to enjoy. Let’s join our hands together again as we did before to pray for Nasim who is one of us and a Member of Saeed Ministries. When one suffers, we all suffer. Below is an article from Mohabat News written in October of last year. Imagine being arrested for converting to Christianity. Attempting to convert the youth, and contact with foreign Christian ministries for evangelisation. And her court document states her crime is in line with England and Occupied Palestine’s agenda? Iran is still persecuting Christians as enemies of the state. With the recent declaration of Genocide to include Christians at the hands of the Islamic State, Christian persecution at the hands of countries like Iran, Pakistan, and others are the untold story. A story that must be addressed. The West must address the persecution of Christians. Despite all of this, faith grows in Iran. It’s hard to obtain numbers of those converting or worshiping. We are told that many are fleeing to countries like Turkey. We do know that Faith in Iran is growing in the face of adversity as in other countries where Christians suffer. We know from Pastor Saeed’s previous posts that Christians in Iran lack Bibles, but their worship and faith is very strong. We in the West would do well to have 1/4 of their Faith. Pray for the Christians in Iran, Pray for the people of Iran for God to show His light and love. Evin Prison as we know from Pastor Saeed’s imprisonment is the most dangerous prison in Iran. We came together as one Body and united in prayer for Saeed, let’s unite again in prayer for this dear Sister. Pray for her healing, her protection of mind, body and soul. Pray for her to receive medical care and send caring hands to care for her. We all witnessed what the body of Christ can do when we come together to pray, God moved a mountain and secured Pastor Saeed’s release. God freed Saeed, not man. Unite with us in prayer for Sister Nasim. Mohabat News _ Maryam Naghash Zargaran, who had been on a medical leave since last Tuesday was forced to interrupt her medical treatment and return to Evin prison. She has been in prison for her faith for more than 30 months in the women’s ward of Evin prison. She was initially summoned to the intelligence office for questioning in February 2011. The subject of these interrogations was her involvement in house-church activities and this was usually accompanied by harassment of her family. Eventually she was summoned to the intelligence office and arrested, a few days afterPastor Saeed Abedini’s arrest. 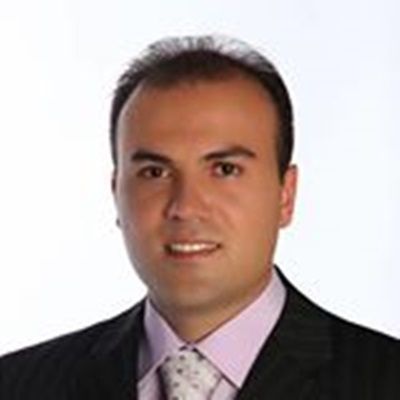 Pastor Abedini is an Iranian American pastor who was arrested during his visit to Iran to help establish an orphanage in northern Iran. Also, Ms. Zargaran’s house was raided the same day as her arrest. Security authorities thoroughly searched her house and confiscated her Christian books and articles along with other personal belongings. Immediately after her arrest, she was moved to Evin prison for fingerprinting and then admitted to Vozara detention center without being officially charged. She was kept there for five days with little to no access to hygiene where she was interrogated regularly. Most questions during interrogation sessions were related to the rapid growth of their house church, asking about people who attended their services and how the services were conducted. Later on, she was officially charged with “Propaganda against the Islamic regime”, in Branch 2 of Shahid Moghadas Court House and then transferred to Evin prison. 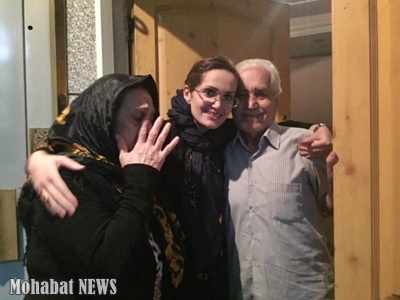 After spending 19 days in Evin prison’s women’s ward, she was temporarily released on a heavy bail. During her trial she was sentenced to four years in prison for “gathering, collusion and action against national security”, while initially she had not been charged with such accusations. Her sentence was approved in the appeals court as well and she was summoned to Evin prison on July 15, 2013 to serve her sentence. She is currently serving her four year sentence while last June, the Iranian Ministry of Intelligence announced that they were unaware of her case being processed in the judicial system. After two years they have announced that they take full responsibility for this case and will begin its review soon! In the last two years in prison, Ms. Zargaran was labeled as a “special prisoner” and thus subject to harassment by judicial authorities. She was denied the right to have her brother and sister visit her for months and was given false promises for being given temporary leave permits. She was even denied the right to medical leave until recently. Ms. Zargaran underwent heart surgery about nine years ago as she suffered from Atrial septal defect (ASD) and has been in need of regular medical check-ups ever since. In addition, she has been suffering from numbness in her limbs as well as chronic joint pain since last year. The early diagnosis results show that she is suffering from lumbar disc, arthritis and osteoporosis. The prison’s physician prescribed her to be hospitalized for five days and receive physiotherapy immediately, but the Attorney General refused to grant permission for her hospitalization. During her time in prison, she has been struggling with Anemia, Diabetes and High Cholesterol as well, while being denied any treatment.